Live in the country and last three years longer than my city friends? Good news indeed, more backing for a lifestyle choice made half a lifetime ago when it seemed a good idea to exchange an Edinburgh terrace for a farm cottage. I knew it was a good idea because I had been there before. Born and reared on a farm I had been seduced for a few years by the idea of being a big shot who lived and worked in a city rather than only going for the day to wave at the buses. True, I was familiar with some of the minor disadvantages of country living such as an iffy private water supply sometimes infiltrated by a range of flora and fauna (including, on one memorable occasion, a dead lamb), the absence of central heating in farmhouses and cottages, and a single track farm road easily blocked by snow, broken-down machinery or escaped livestock. Although there are many advantages of country living, it is still difficult to persuade a town- born and bred person to live in the country due to disadvantages and inconvenience of country living life. Hypothermia occurs when the body’s temperature falls below 35 °C. The human body has a number of systems that maintain a constant core temperature of around 37 °C. A person doesn’t have to be in sub-zero temperatures to risk hypothermia – it only requires the environmental temperature to be less than the body temperature and a person will “donate” heat to the atmosphere. If the heat generated by the body – and people are constantly generating heat through metabolic processes and muscle movements – is less than that lost to the environment, then their temperature will begin to fall. evaporation – fluid on the skin turns to vapour, drawing off heat (moist skin will lose heat more rapidly, such as in someone who is wet, clammy or has exposed moist skin, such as burns). Hypothermia is a condition when human body loses heat by conduction, connection, radiation and evaporation and body’s temperature fall below 36-degree Celsius so, body constantly generate heat by metabolic process and muscle movement. Hypothermia, a condition in which body temperature dips down to 35 degree Celsius, occurs when heat generated by body falls short of heat lost to environment through conduction, convection, radiation and evaporation. Hypothermia occurs when the human body temperature falls below 35 degree Celsius , and constantly generating the heat through metabolic process and muscle movements and also the temperature will began to fall and loses heat by four ways conduction, convection, radiation, evaporation if it is less than the environment. The noun phrase metabolic process seems to be missing a determiner before it. Consider adding an article. Even though rural living has its own disadvantages in the amenities and transportation when compared with urban areas, better lifestyle choices are available there, but it cannot be easily convinced by a town grown up person. Hypothermia happens if the human body temperature falls below 35 degree Celsius, and the generated heat through muscular movements and metabolism are lesser than the heat generated from body to the environment, and is caused due to various methods such as conduction, convection, radiation and evaporation. Despite some of the minor disadvantages, living in the country side does you more good such as longer life span and lower cost of living. Author please review and grade it. such as conduction, convection, radiation, or evaporation, and the core temperature of body goes below 35 degree celsius. The noun phrase body seems to be missing a determiner before it. Consider adding an article. It appears that the word celsius may be a proper noun in this context. Consider capitalizing the word. Hypothermia is when the body temperature goes below 35 degree this is occurs when the body generates heat through four ways – i.e. conduction , convection , radiation and evaporation, which is less than lost to environment. It appears that the form of the verb occurs does not work with is in this sentence. The noun phrase environment seems to be missing a determiner before it. Consider adding an article. Living in a countryside comes with its own advantages life healthy environment but it also has a number of disadvantages related to improper infrastructure like water supply , road issues etc. which makes living in a town much easier. It appears that you are missing a comma before the coordinating conjunction but in a compound sentence. Consider adding a comma. The phrase ‘a number of’ may be wordy. Consider changing the wording. It appears that the phrase ‘makes living’ is not paired with the correct article. Consider changing it. Human body suffers the risk of hypothermia when the temperature goes below 35 degrees and loses the heat in four ways such as conduction, convection, radiation, and evaporation. Hypothermia occurs when the body temperature is higher than environmental temperature, which result into loss of heat in human body by four ways such as conduction,convention,radiation and evaporation. The plural verb result does not appear to agree with the singular subject environmental temperature. Consider changing the verb form for subject-verb agreement. It appears that the preposition into may be incorrect or unnecessary in this context. Consider changing or removing it. The noun phrase human body seems to be missing a determiner before it. Consider adding an article. The word convention doesn’t seem to fit this context. Consider replacing it with a different one. 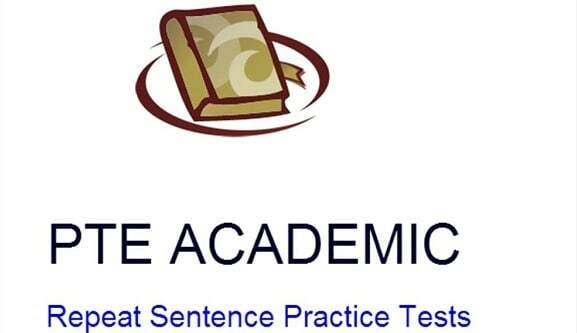 Your sentence contains a series of three or more words, phrases, or clauses. Consider inserting a comma to separate the elements. The lifestyle of people living in a country changes time to time, which leads to disadvantages such as private water supply,absence of central heating in farmhouse and cottages,while it also leads to advantages such as Town born and Bred. Author please comment on the lifestyle summary. The human body temperature will begin to fall when the heat generated is less than that lost to the environment through conduction, convection, radiation and evaporation. When the body temperature falls below to the 35 C and body started loosing it’s heat to the atmosphere due to conduction, convection, radiation and evaporation then the risk of hypothermia will increased. Hypothermia occurs in the human body when the heat generated by a body is less than that lost to the environment as such there are four ways body does that: conduction, convection, radiation, and evaporation. Hypothermia occurs when the body’s temperature falls below 35 °C whereas human body maintains the constant core temperature of 37°C by donating temperature to environment in various ways like conduction, convection, radiation and evaporation. Authur i am really working hard to get it right by practicing. please assit in vetting my text. Why it is good to live in a country and last years than any of my city friends because it simply means good news but it is more beneficial to be born, reared and bred like I told Liz back in the mid-seventies. We know that you are trying hard. We also try to reply to every comment we receive. Even though living in country side has lot of advantages such as healthy and peaceful environment on other hand there are some dis advantages too such as improper infrastructure such as roads,water supply and health care facilities especially when there is a sick person at home it will be much difficult to commute and respond immediately in emergency. A body doesn’t need to be in sub-zero region for hypothermia, a stroke that body gets when its temperature falls below 37 degree Celsius, but it only requires environmental temperature to be less than body’s temperature and then either of the four processes: Conduction, convection, radiation or evaporation, lowers the body temperature. In mid-seventies, immigrating to city from village was not a bad idea as there were many drawbacks of living in the village with poor water supply, road and transport issues, but also there was an advantage over city of surviving with lower income. Although village life is tough and boring, especially when you compare to a city due to the absence of quality heating facility, broken-down machinery and poor road condition during winter still you can live in country on less price. The phenomenon of the human body temperature falls below 35 degrees Celsius is known as hypothermia and there are four ways in which body loses temperature are conduction, convection, radiation and evaporation. Hypothermia occurs when the body temperature drops below 35C and this happened when the body losses heat mainly because of the following factors such as conduction, convection, radiation and evaporation. When the human body temperature falls below 35’C tends to occur hypothermia where it requires the environmental temperature to be less than the body temperature and a person heat can be loss by conduction, convection, radiation and evaporation. Country life is having more advantages and less disadvantages compare to live in the city where more backing for a lifestyle choice can made half a lifetime ago. Human body temperature begins to fall when heat generated through metabolic processes and muscle movements becomes less than the heat lost to the environment by conduction, convection, radiation and evaporation, this condition is known as Hypothermia. Hypothermia is a medical condition which occurs when the body temperature falls below the environment, as a result of passing the body heat to atmosphere in four different ways such as conduction, convection, radiation and evaporation. There are four different ways that a human body can generate heat: conduction, convection, radiation and evaporation, however if the body dissipates excess heat and body temperature falls below 35 degree centigrade then this condition is called hypothermia. Although living in a village has it’s own drawbacks compared to city like limited water supply, narrow roads, heating issues in cold weather and limited medical facilities but still the life there is in it’s purest form with fresh air, huge farms and beautiful nights and the best part is that you need handful amount of money to manage this life style. Country living is a lifestyle choice to avoid the city hustle and bustle but at the cost of some disadvantages. 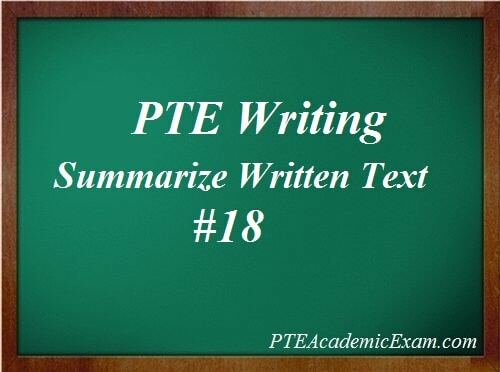 Just a tip, please do not use multiple sentences, it is supposed to be a single sentence answer. There are numbers of facilities available for people who live in the city area, but they will not able to get help from their relatives in the time of emergency. Revised — In mid-seventies, there were numerous facilities available for people who live in the rural area, but they could not able to help in the time of emergency than in the town area. Although there are many advantages of country living, it is still difficult to persuade a town born and bed person to live in the country due to disadvantages and in convenience of country living life. Hypothermia arise when a body temperature is less than our normal body temperature which is around 27*c, either environment temperature drops down below normal body temperature and various ways of temperature loss includes: conduction, convection ,radiation and evaporation. Hypothermia is a condition faced by human body when its temperature reduces below 37 degrees, it also said that heat in the body is transferred to environment in 4 ways when environmental temperature is less than body temperature. A drop in body temperature below 37 degree celsius is called as Hypothermia, which happens when environmental temperature is below body’s internal temperature, leading to body dissipating its heat to the atmosphere through various processes like conduction, convection, radiation and evaporation. There are a lot of facilities available in country side than in town in mid-seventies, however, the only disadvantage present is there is no one around to help in the time of difficulties than we get in city areas. There are four different ways in which body loses the temperature they are: – conduction, convection, radiation, and evaporation – once the body’s temperature constantly, generated through different metabolic process and muscles movement is less than that to the environment than the body temperature begin to fall and known as Hypothermia, which is less than 35 degree Celsius. There is more advantage present living in country side in mid seventies with lot of facilities present around than living in town, however the only disadvantages present is if any problem occurred no people around to help as we get in city areas.